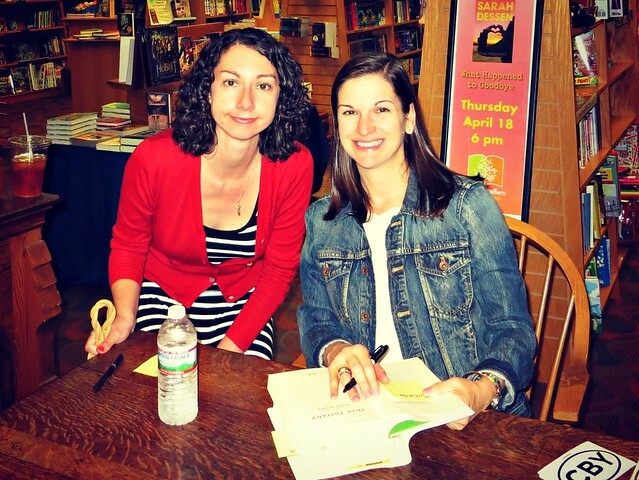 Last night I met Sarah Dessen, one of my favorite authors! The last book signing I went to at Booksellers at Laurelwood wasn't well attended and no one had much to say. It was tense (for me). So I was happy to be among a crowd of enthusiastic fans there last night. Sarah was SO friendly and more extroverted than I had imagined. People asked a lot of good questions and her answers were very interesting. If you're not familiar with her novels (the 11th one comes out soon), they're each set in one of two fictional North Carolina towns that she made up. Each book stands alone, but old characters often make cameos in later books. (In a small town, they would run into each other eventually!) The characters are my favorite aspects of her books. Her main characters tend to be quieter types surrounded by quirky, more exciting friends, and I so relate to that. Based on what I know of Sarah, I feel a kinship with her and think that I would have a similar writing process if I ever write fiction. This tour is for the paperback release of What Happened to Goodbye, so I brought my hardback for her to sign in case that was the only book allowed. But then I saw a few people with multiple books, so I ran out to the car and grabbed This Lullaby, which is my favorite. I had brought it just in case. (I seriously need to design a Spinnerbait T-shirt on Cafepress.) She signed both! I only got about 10 seconds with her, but she complimented my outfit and started talking about how stripes are so in now. Yay! 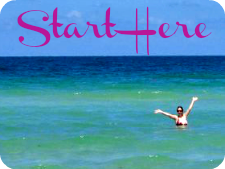 Also: I received a Netgalley e-mail this morning about the BEA Bloggers Conference. I always thought you had to be published or in the industry to go to BEA, and I'd also have assumed you need to be a Real Book Blogger to go to this, but ANYONE CAN GO. It's in NYC at the end of May. That's short notice, and I'd feel a little silly being there, but man am I tempted. Maybe next year. I'll have to check out her books. I'll put it on my summer list.